For one evening each year, it is possible to believe that stuffing money into a lion’s maw and eating long life noodles in a restaurant named Grand Harmony will guarantee health and happiness. Perfectly understandable, then, that more than 300 people braved winter’s bite on Feb. 27 to converge on the Chinatown institution for the annual Lunar New Year celebration, which included a 10-course dinner. 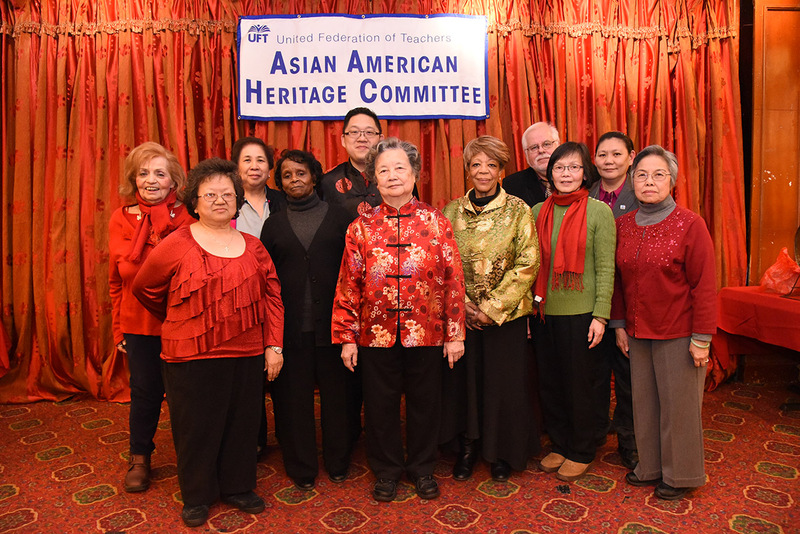 For a quarter century, Marian Thom, the co-chair of the UFT’s Asian-American Heritage Committee, has planned and hosted this party. For a quarter century, the faithful, first-timers and union leaders have come together over dinner to celebrate the Chinese New Year. See more photos in the gallery at www.uft.org.